I'm really enjoying the push to complete some of my projects that SarahLiz Sew Style's "Make a Garment a Month" challenge is giving me. 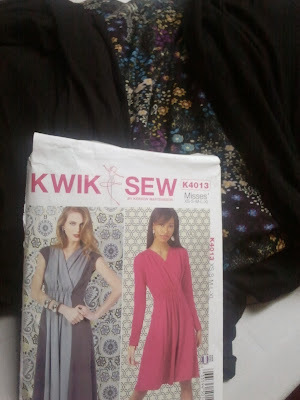 I've been sorting through some of my patterns and fabrics and trying to decide which I should choose for December. I'd love to choose 2 or 3 items that I really want to make -- but, it is December after all, and I know that I just won't have time for them all. A new pattern that I bought, and I had better get busy and finish it off before the end of the year!